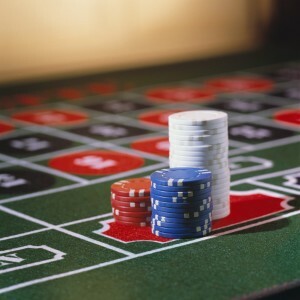 Gambling therapists understand gambling addiction. I quickly point out we live in an era of specialization. For decades, the medical field has realized that there is far too much information required to effectively treat each issue/ disease. Your family doctor refers you to someone who specializes in a particular problem and has had additional training in their area of specialty. For example, you go to a cardiologist because you have problems with your heart. Likewise, in the behavioral health field, there are many issues that require special intervention and experience treating a particular issue such as eating disorders, sexual addiction, grief and loss. Some therapists specialize in treating gamblers. What does this specialization mean for those of us who specialize in gambling treatment? The therapist who treats gamblers must have specific training in gambling as an addiction. This therapist must know best practices in treating gambling and have an understanding of community resources, particularly in the area of finances and legal matters. A gambling therapist must have an understanding of the impact of the disease on the family system. Without gambling-specific training, it is difficult for a therapist to adequately treat those impacted by gambling. If you have any questions about whether or not someone is an approved provider for gambling treatment services in Arizona, consult the Office of Problem Gambling’s website. The providers on this list are part of the state-funded network of gambling treatment providers. Their training and supervision keeps them aware of best practices in the ever-growing field of gambling treatment. Refer to the Office of Problem Gambling’s website for further details of this program. This entry was posted in Problem Gambling by kelliotthudson. Bookmark the permalink.